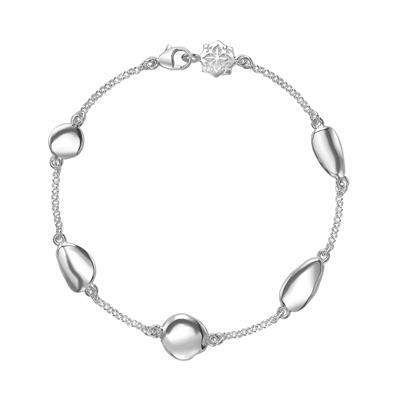 This stunning Dower and Hall bracelet is adorned with 5 sterling silver mixed pebbles that are featured on a fine chain. The bracelet features Dower and Hall's signature quatrefoil lobster clasp. Pebble sizes vary.